Luxury is relative when you are traveling north of the Arctic Circle. The expeditions of yore are full of accounts of frostbite, starvation and misery. 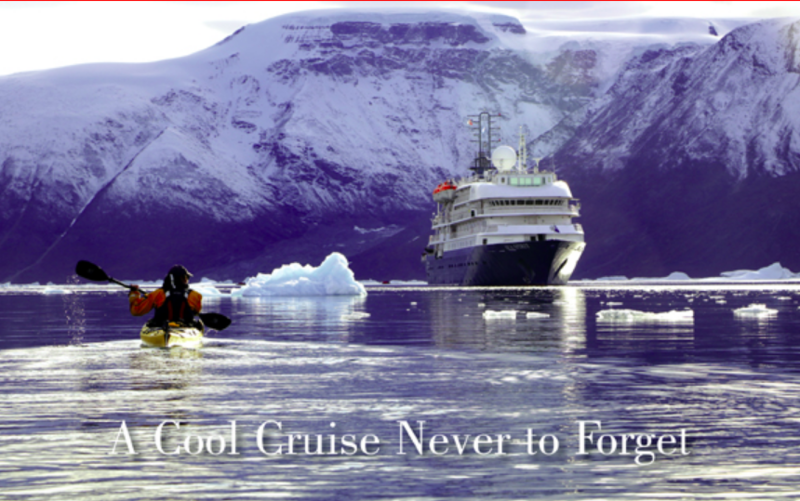 Not so these days, if you are a passenger on Poseidon Expeditions. Great food, comfy suites, and knowledgeable guides let you explore safely and warmly. Here’s a piece I wrote and photographed for the beautiful Canadian World Traveller magazine about learning to kayak among the icebergs of Greenland and Iceland by day, and enjoying the riches of the Northern Lights by night. The Arctic is best in the warmer months of North America, and Antarctica travel in the southern hemisphere, where the seasons are opposite, is best during the colder weeks in North America. Book ahead for savings, and look forward extraordinary beauty.